Cream and park, George; if your contractors do it, why won’t you? It’s no surprise that Gideon George Osborne will have to humiliate himself next month, admitting that borrowing this year will go up and not down – as he predicted. Rational minds have told him this is the only possible result of lower tax receipts and higher spending. But why is spending still on the rise? Is it because – as we can assume logically from the lower tax receipts, and from headline reports about Jessops, HMV, Republic and others – more people are claiming out-of-work benefits, having lost their jobs recently? Possibly – but that’s not helpful. Those people have paid taxes and National Insurance into the system and have a right to their benefits (no matter what the likes of Iain Duncan Smith might say). Is it because the government is giving too much money to private companies for contracted-out work? Atos springs to mind immediately. The amount that company alone takes from the national bank account is exorbitant and unwarranted, especially when one considers the cost it creates every time the government loses an appeal decision. There is also, as we learned today, the cost created by the work programme provider companies. We know from results gained last year that the work programme – which appears to cost up to £1 billion per year, if the BBC figures are to be believed – was worse than useless in improving employment prospects for the unemployed people it was supposed to help. The government says it is “early days” for the scheme, but this seems unlikely. It is a failure that voters are unlikely to tolerate in the future, and therefore let’s assume that it will be closed down after the 2015 election that neither the Conservatives nor the Liberal Democrats are going to win. That will save some money, and it’ll be a popular choice for whatever form of government we get thereafter. Assuming that to be the case, we should be asking Mr 0 why he doesn’t adopt a strategy that we all know these companies use in order to boost their profits. Because they get paid on results, they concentrate on people more likely to generate a fee and sideline jobless clients who need more time and investment – a process known as “creaming and parking”. It’s time to “park” all the work programme provider companies – A4E and the like – along with Atos, of course. 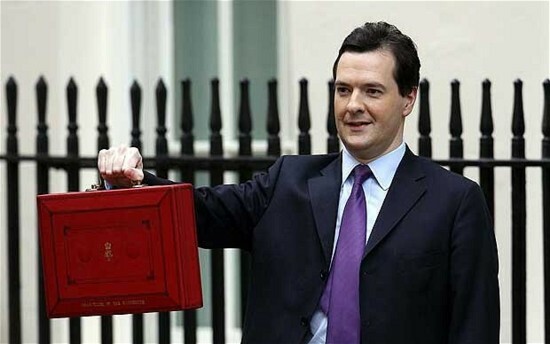 The money saved will total billions, and might help Gideon reach this year’s deficit target! That’s a little harder. Can anyone think of a single private contractor for public services that has ever – ever – provided good value for money and produced a creditable job? Anyone? No? Maybe the best we can say is this will stop the directors of those companies “creaming” taxpayers’ money and putting it in their offshore bank accounts. Their entire philosophy is that our taxes are theirs for the taking. They don’t care about results, never did. As far as they’re concerned we’re cattle to be milked. They’re getting far less careless about letting us know too. Ah well, the sooner it’s all out in the open the sooner revolution will come so the worse it gets, the sooner it’ll be over. Mike, I hate to lower the tone of your excellent blog to that of daytime TV, but you are often asking how we should get the message of what’s going on to the general public. On Pointless last night they asked 100 people to name any MPs whose Surname begins with a vowel. Only 8 mentioned Gideon! If only 8% of the population can even think of this vile Chancellor’s name, it’s going to be an uphill struggle. The fact that only eight per cent knew Osborne’s name was an eye-opener, and no mistake. Maybe it was just that they were being asked to name “an MP whose name starts with a vowel” rather than the Chancellor of the Exchequer, but I doubt it.